Twin Lakes! 100% renovation required but priced accordingly. Not for the faint of heart but, for those with skills, there is a great upside - lots of space for the whole family in this 4 bedroom, 3 full bathroom townhouse. Mountain views from the large deck, lots of storage, covered parking and just steps to the outdoor pool & tennis courts. 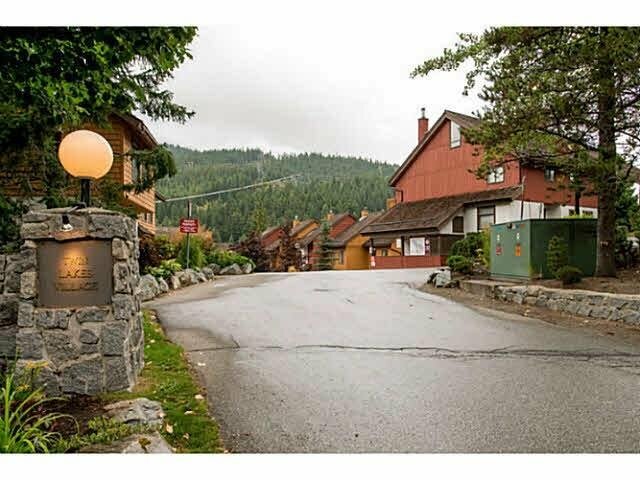 Great location for year round enjoyment with summer time canoeing, swimming and relaxing just steps away at Alpha Lake and you're only a few minutes away by ski shuttle to the lifts, shopping, dining, the Valley Trail and so much more at Whistler Creekside. A quick possession is possible so see it today!